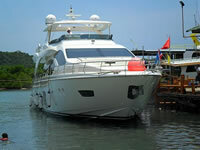 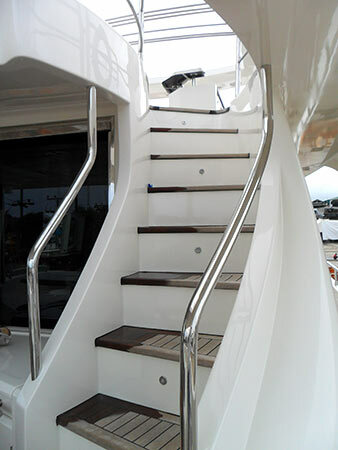 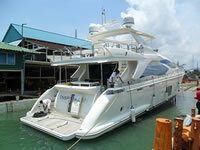 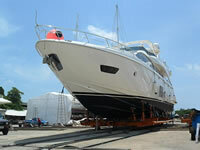 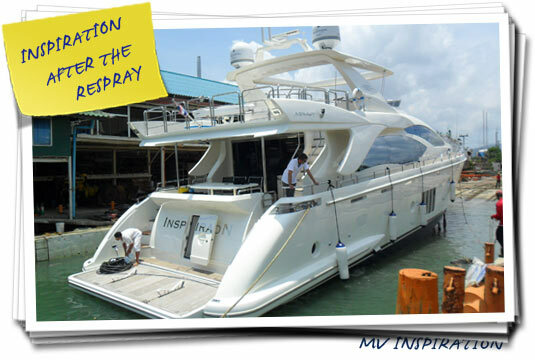 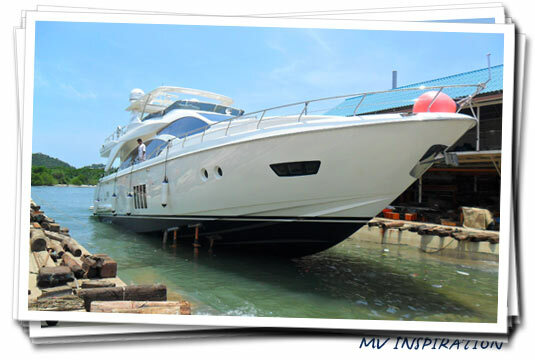 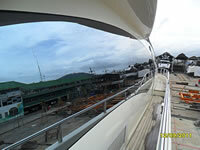 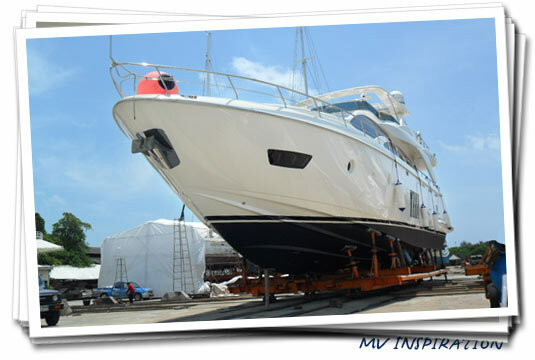 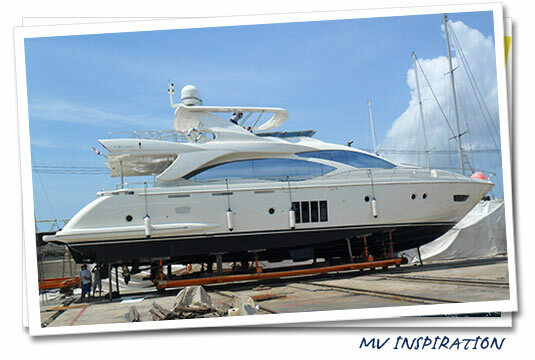 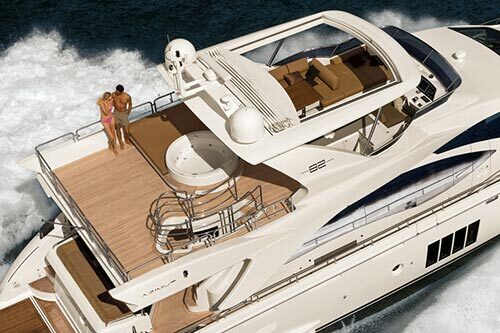 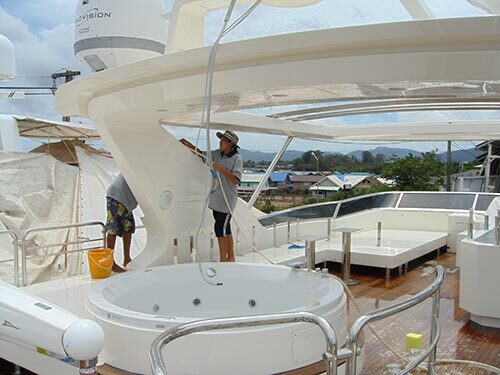 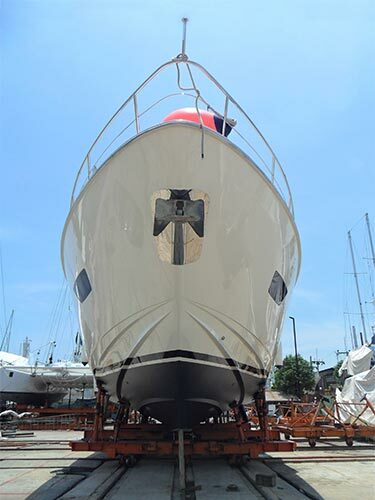 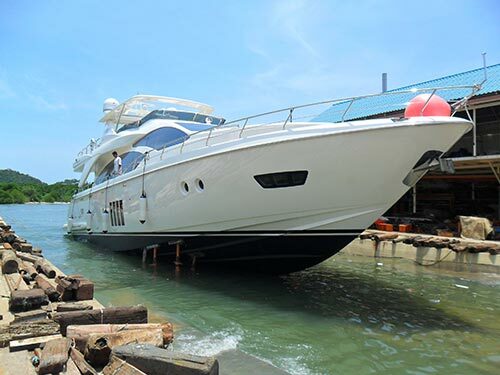 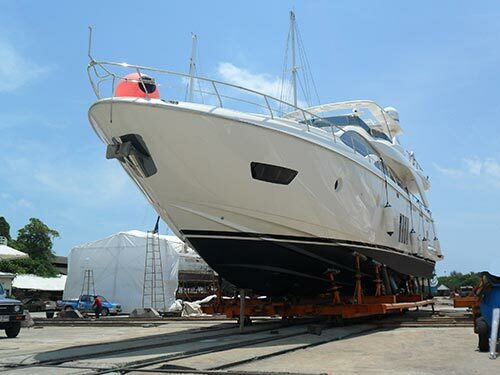 Refit of an Azimut 82 at the Ratanachai wharf, Phuket. 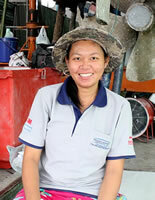 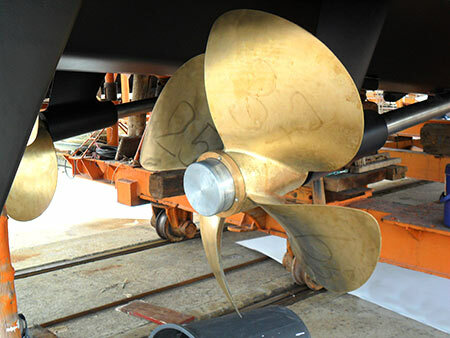 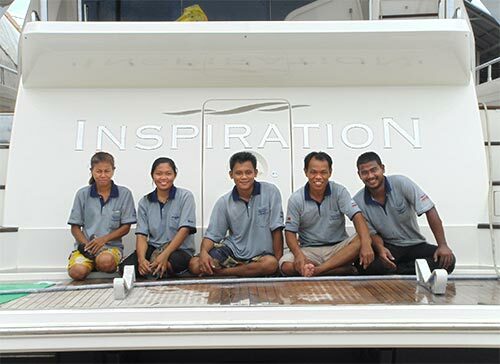 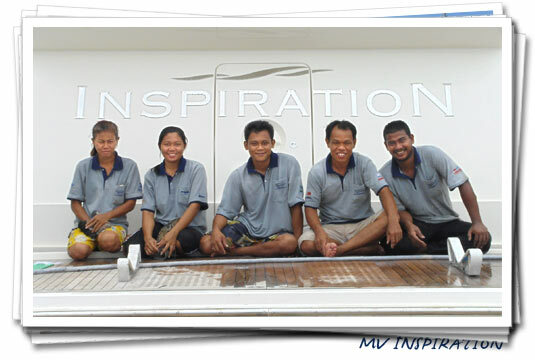 Commissioned by Simpson Marine Asia. 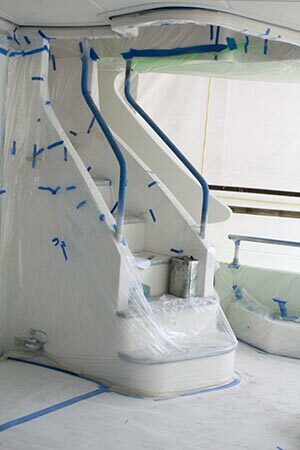 In September 2011 a team of Precision Shipwright Services started work on location on this mega yacht. 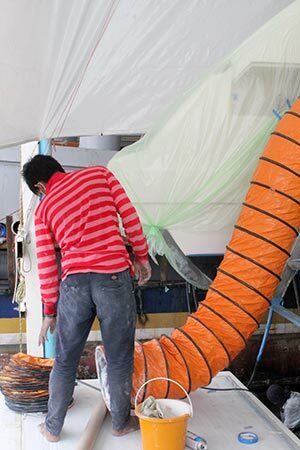 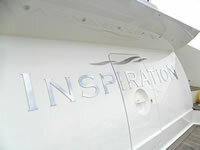 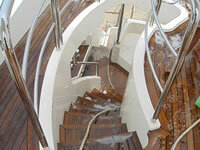 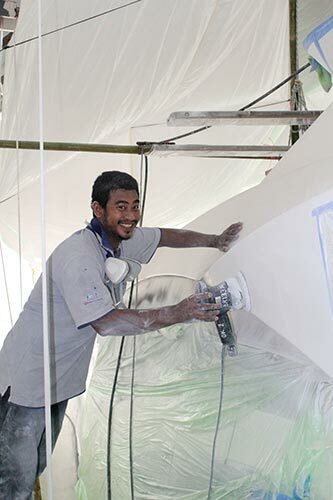 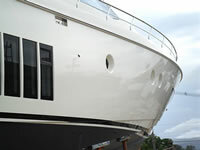 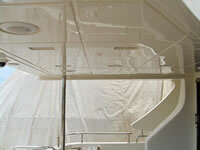 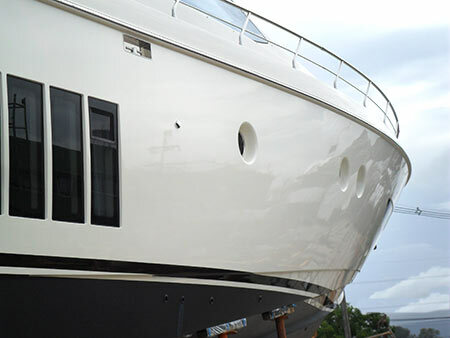 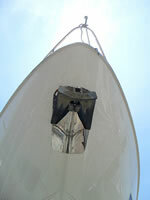 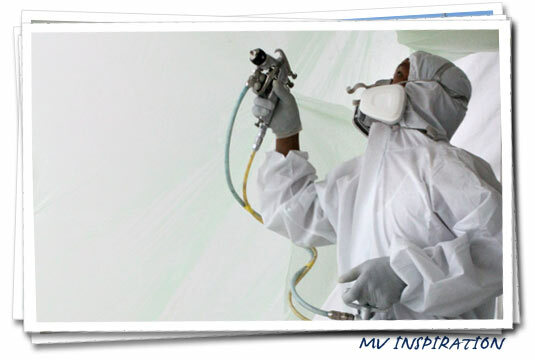 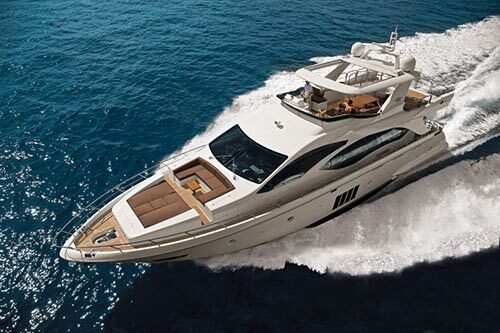 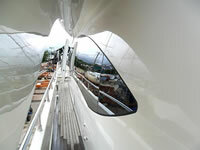 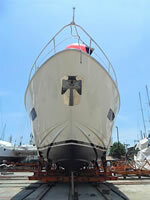 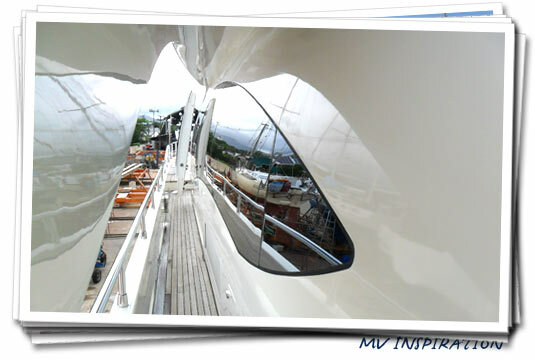 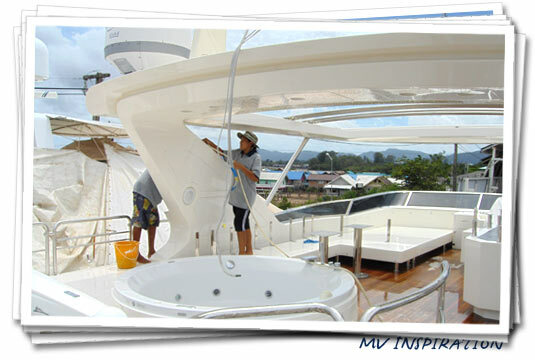 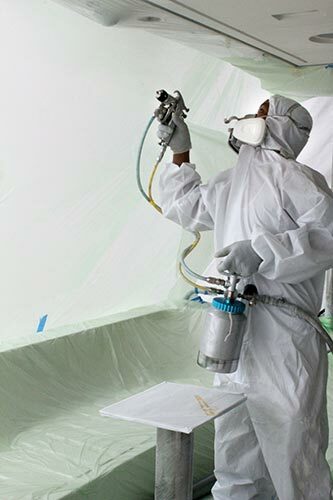 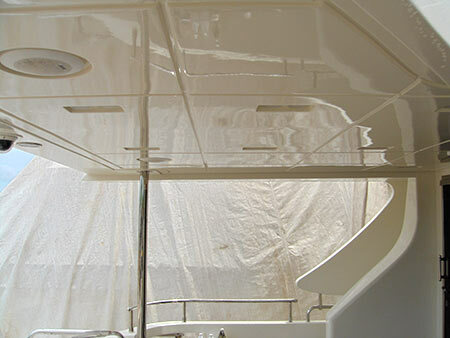 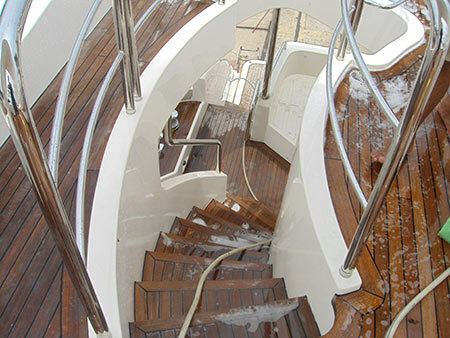 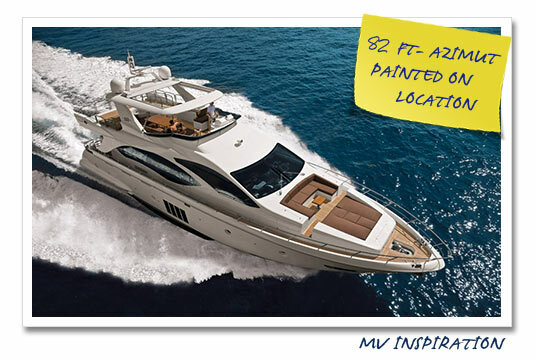 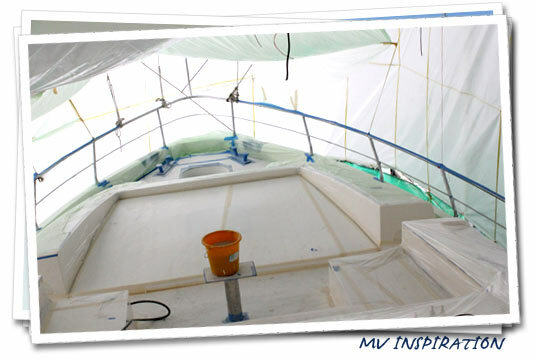 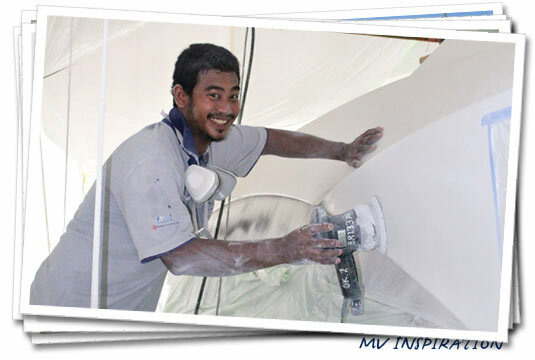 The yacht was relaunched after weeks of intensive highest quality respraying of the hull and super structure. 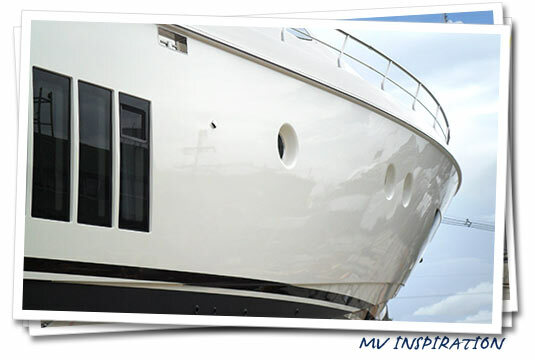 Image Gallery MV Inspiration: click on any thumbnail to start a slideshow.